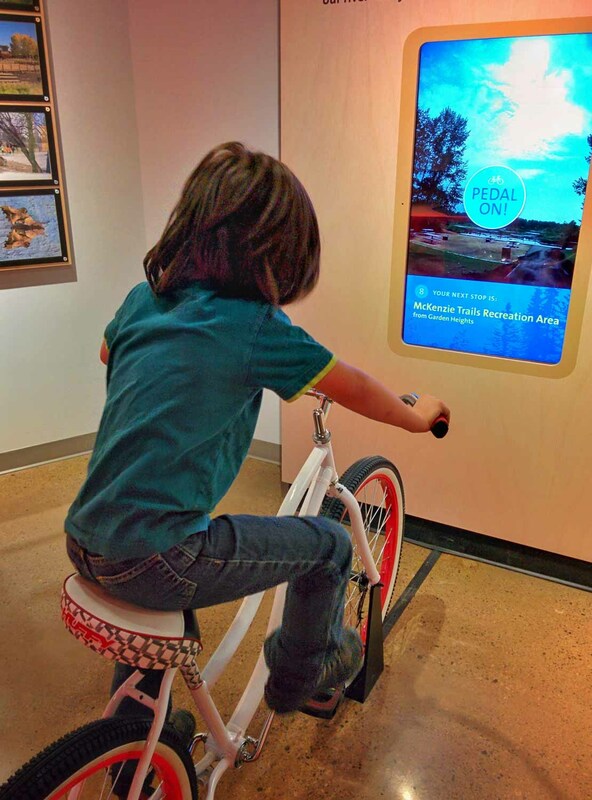 Go on a nature adventure without leaving the city. 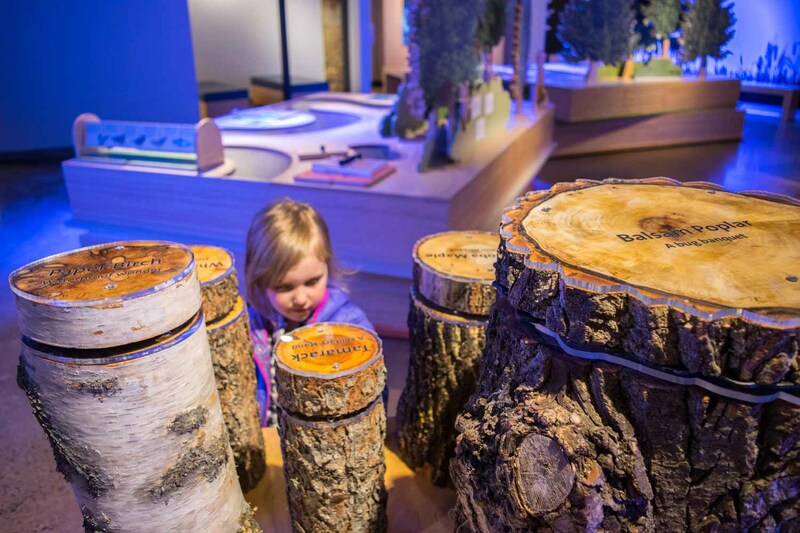 The whole family will love the Kerry Wood Nature Centre with its exhibits, art gallery and playground. 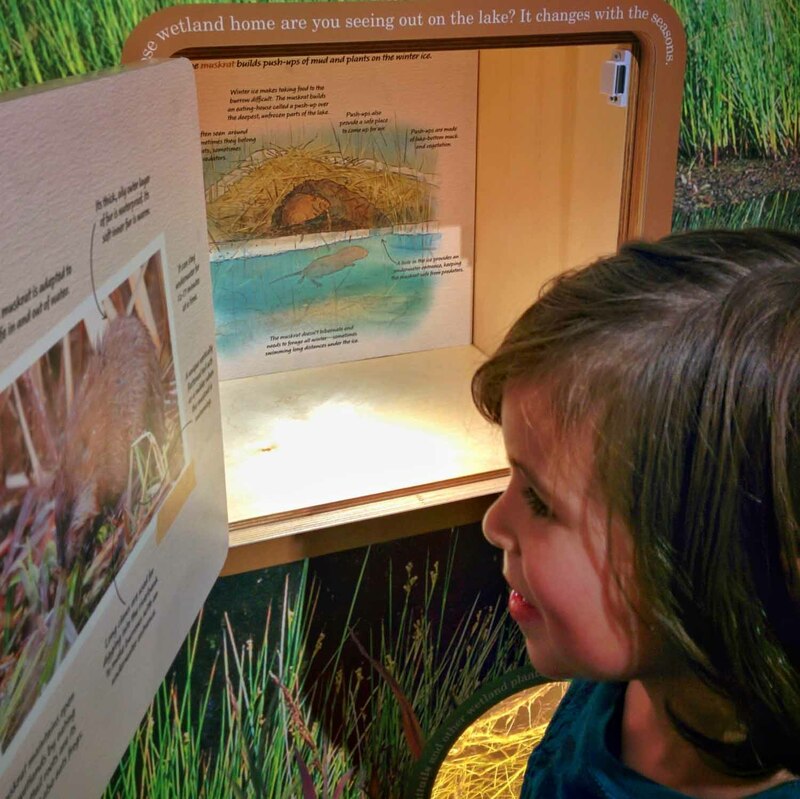 Take in one of their programs on astronomy, learn about wildlife tracking or bring the kids along to build a birdhouse. 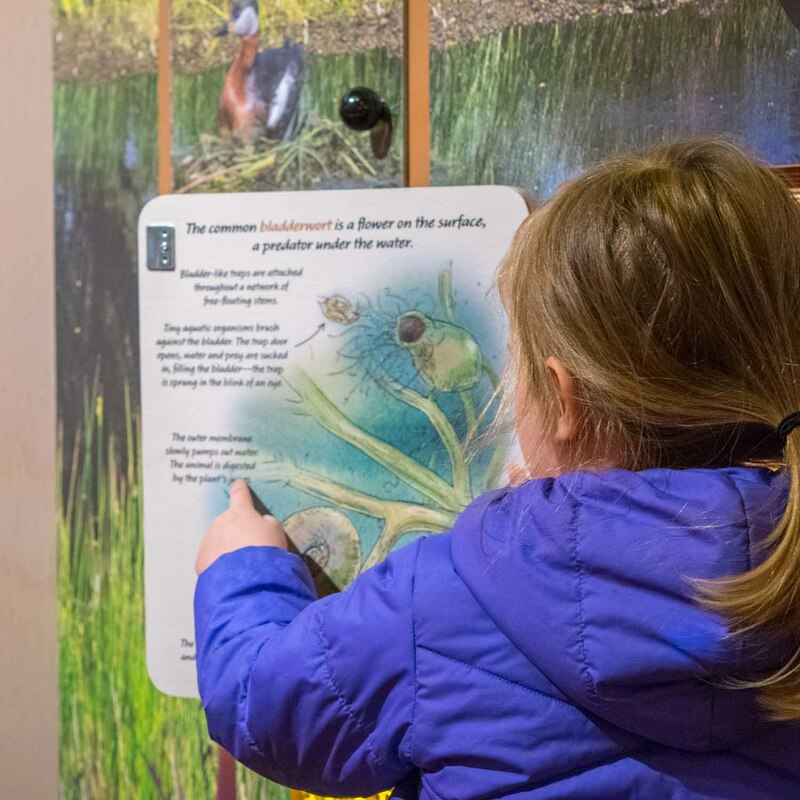 Head out for a walk along the Gaetz Lakes Migratory Bird Sanctuary, the oldest one in Alberta, for an evening of bird watching. 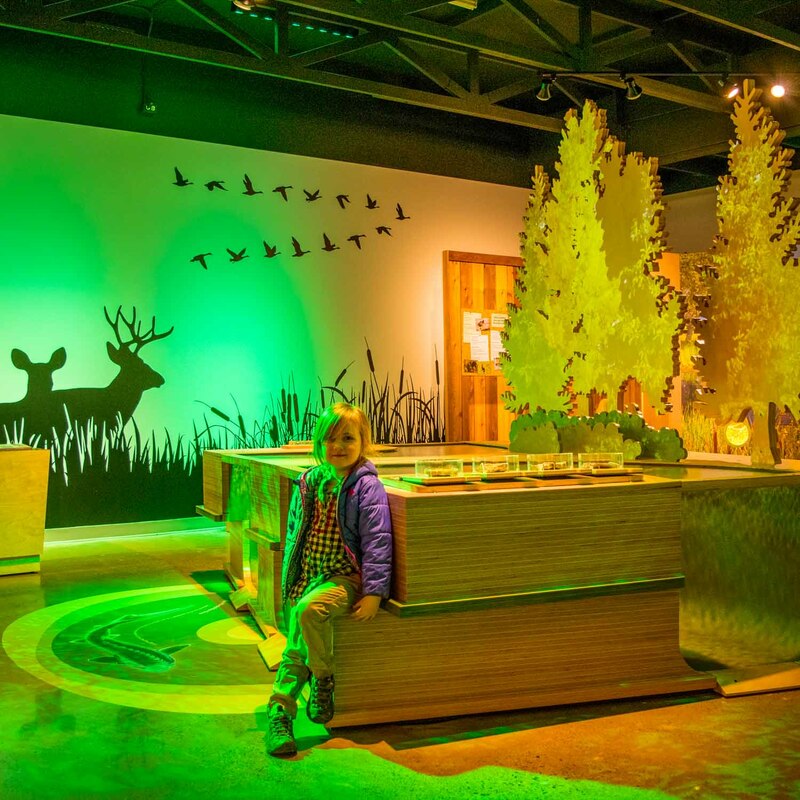 There’s lots to do at the nature centre all year round, whether you prefer to explore on your own or join an interpreter led program. 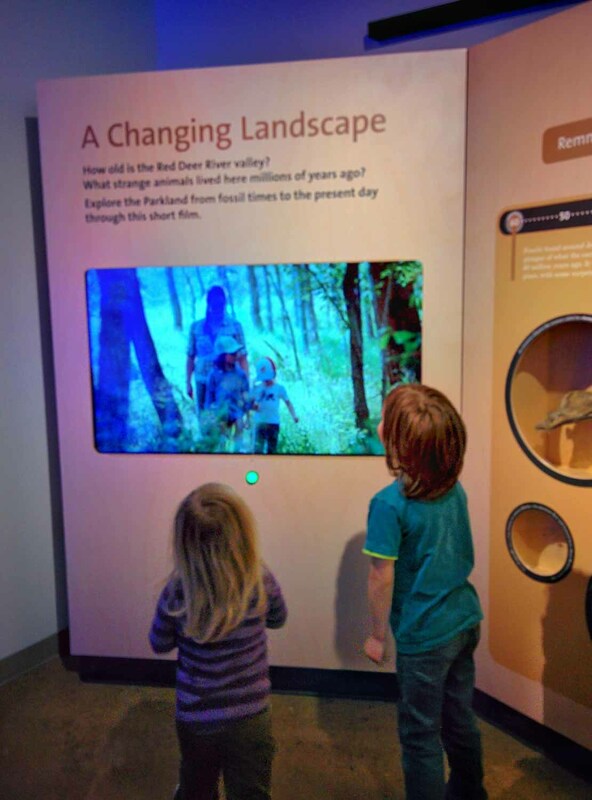 Start your visit with a walk through the permanent exhibit on the natural history of the area. 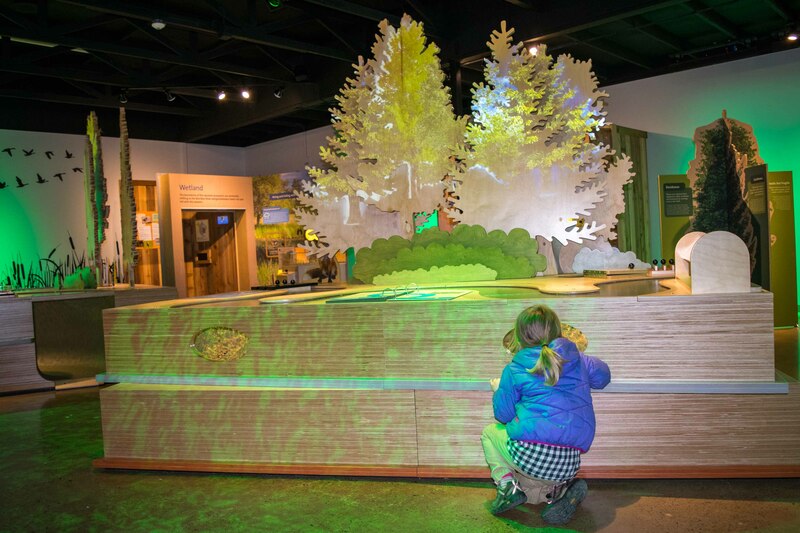 The interactive exhibits were refreshed in 2015 and are a great way to familiarize yourself with the Waskasoo Park system. 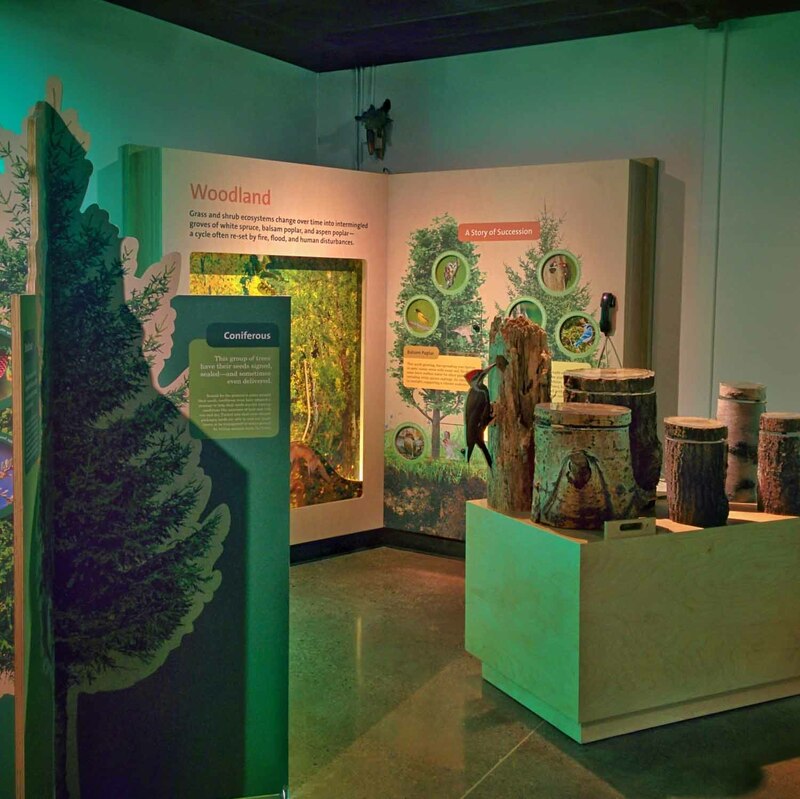 Take a few minutes afterward to stop by the Marjorie Wood Gallery where you’ll find a rotating exhibit of nature inspired art by local artists. 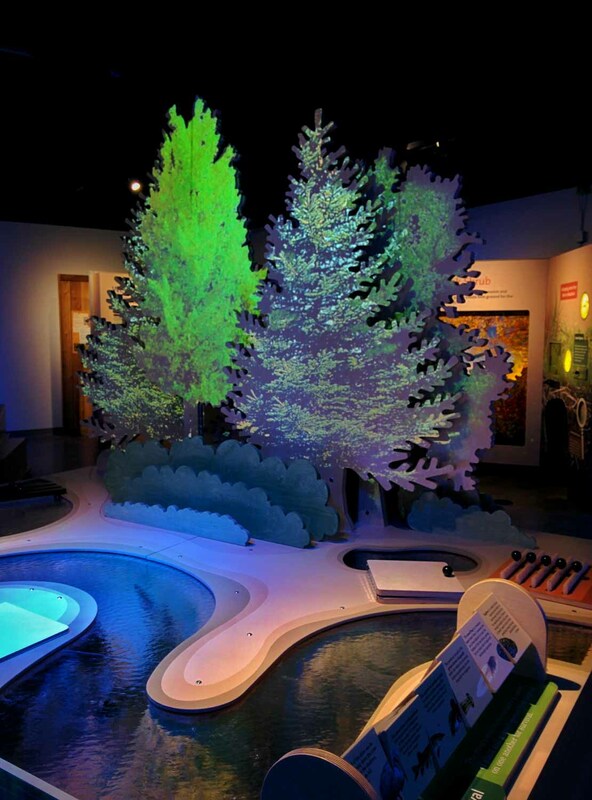 The nature centre offers a wide variety of programs, from their popular family planetarium, the adult only astronomy nights and workshops on a variety of environmental topics. They even offer a float tour on the Red Deer River from the Fort Normandeau to the nature centre. 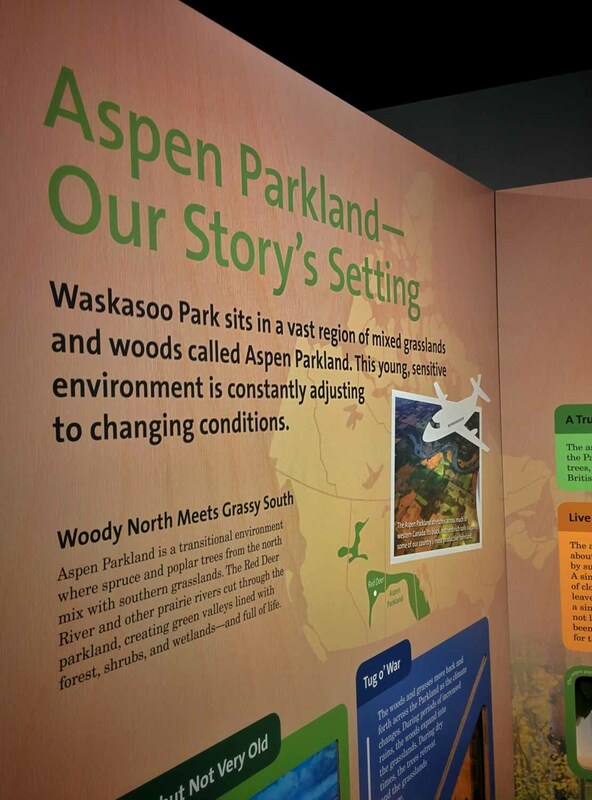 The Waskasoo Environmental Education Society, which operates the centre, also offers interpretive programs throughout the local parks.  Make sure to check out their website to find out more about upcoming events. 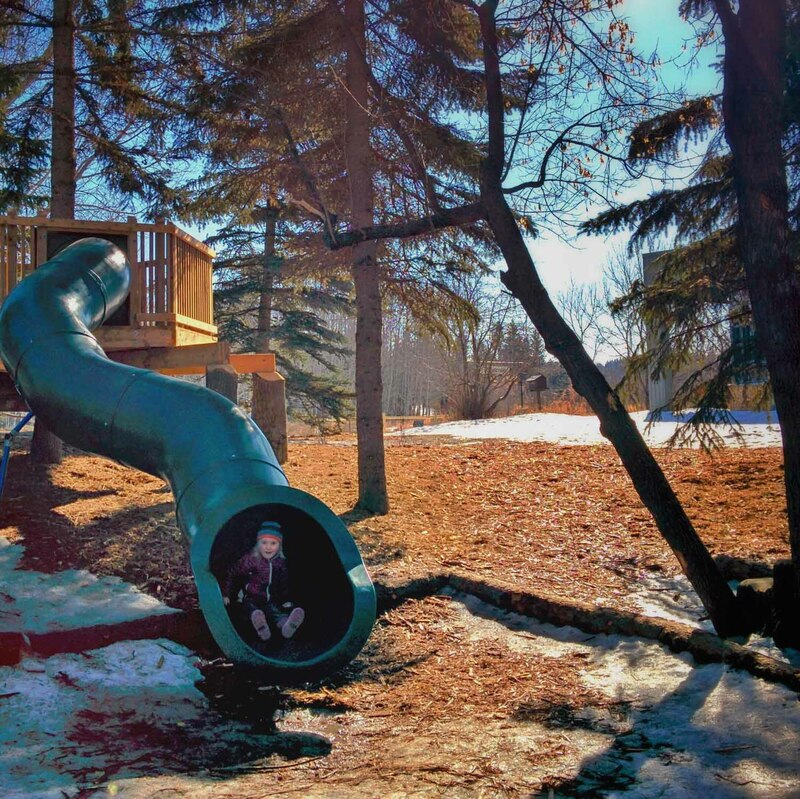 Head back outside for some play time in Red Deer’s only nature playground. 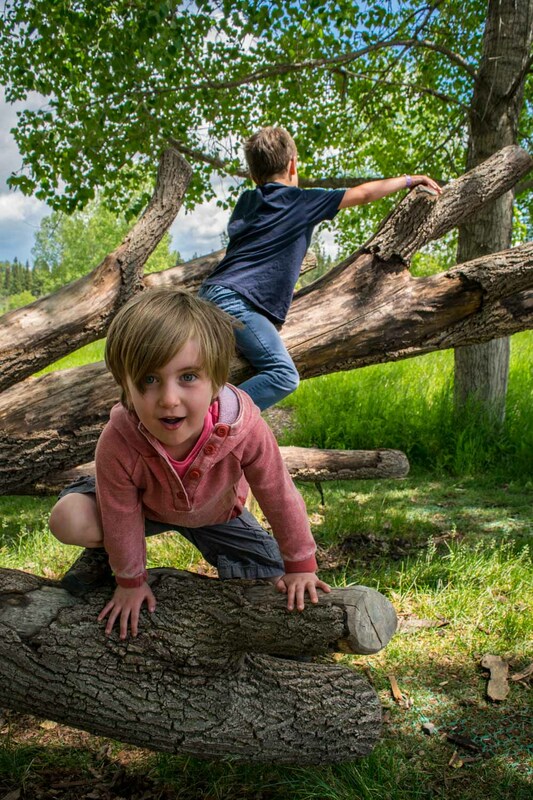 The Imagination Grove and Harmony Garden are a great way to spend some time with the kids playing in the mud, climbing on trees and making some great sounds on the outdoor musical instruments. 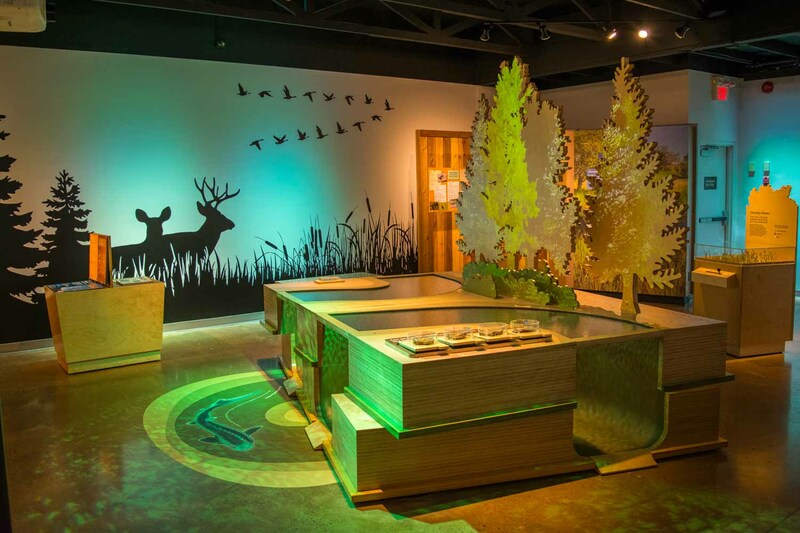 The federal Red Deer Migratory Bird Sanctuary is the oldest of only 4 in Alberta. 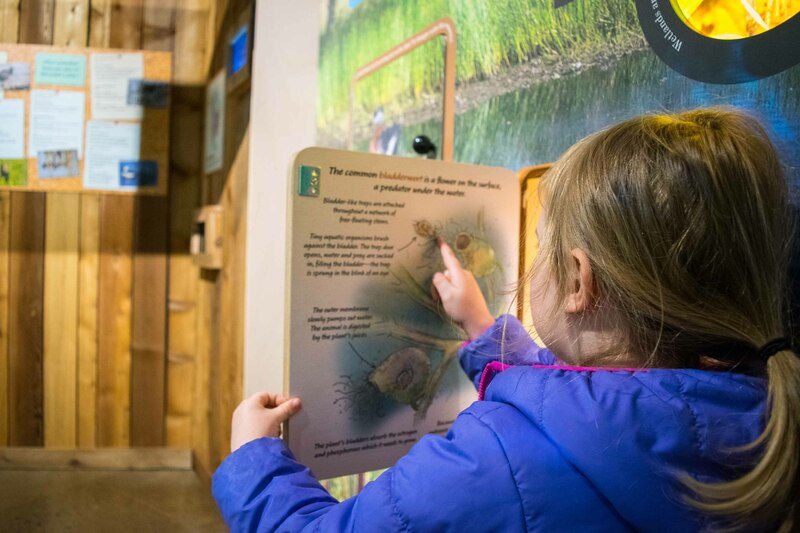 Established in 1924, the area includes two oxbow lakes that are home to several species of waterfowl. 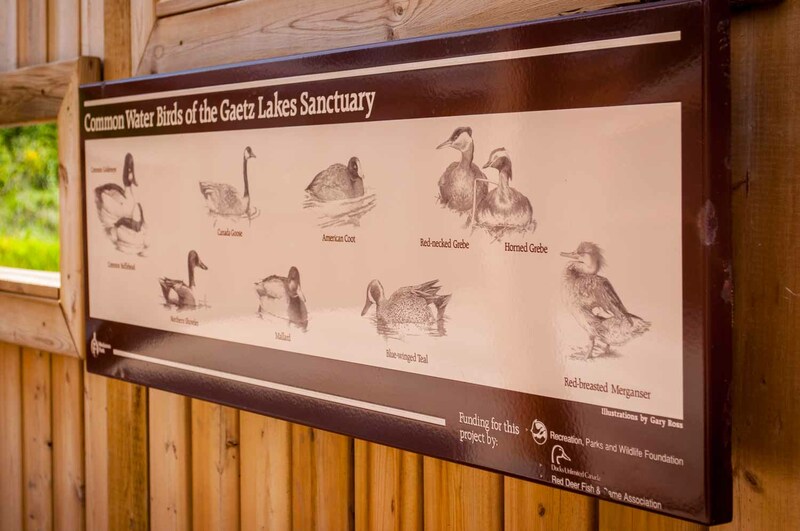 Follow the Dr. George path (wheelchair accessible) for a 1 km loop with a stop at the bird blind on the west lake or head out for a 5 km hike along the edge of the sanctuary. 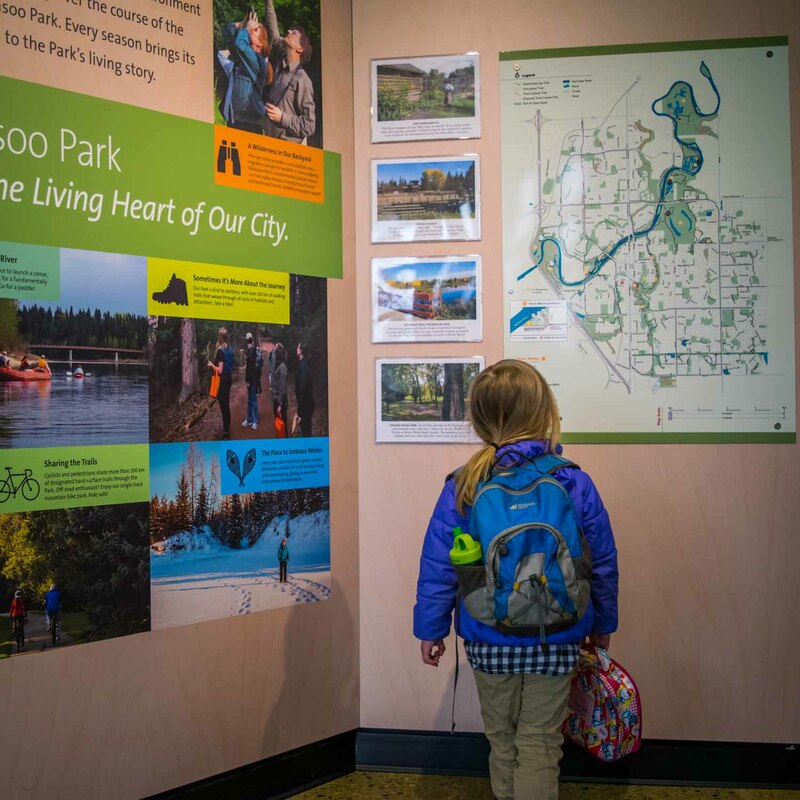 The Gaetz Lakes Sanctuary is part of the Waskasoo Park system and the City of Red Deer has banned biking, jogging, cross country skiing and dogs from the area to protect the habitat and provide exceptional birding opportunities. The historic house across the parking lot from the centre is one of the original in the area, dating back to 1912. Nowadays it is used as a residence by the centre that provides a meeting room and is a popular location for weddings. Take a stroll through the grounds and the heritage garden. The Friends of Kerry Wood operate a bookstore inside the centre. 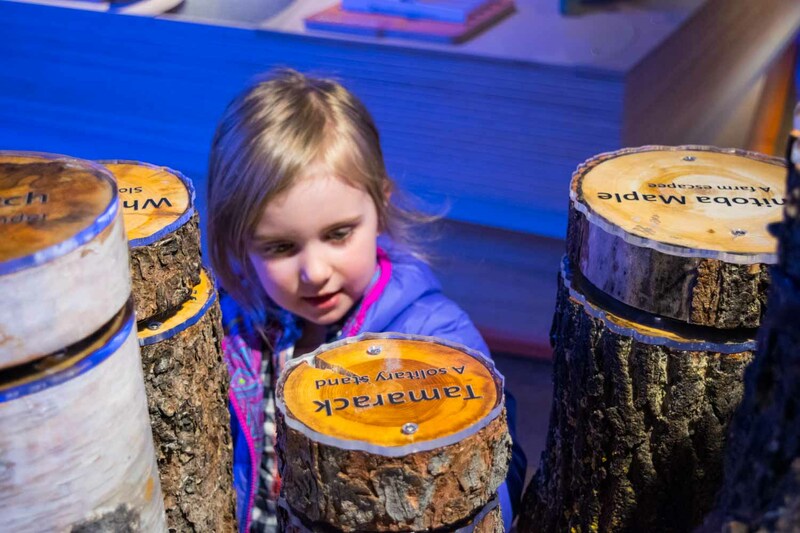 There you’ll find one of the best collection of field guides and outdoor books in Central Alberta, along with an extensive supply of bird seeds and feeders. The centre rents snowshoes and binoculars for your adventure in the sanctuary. 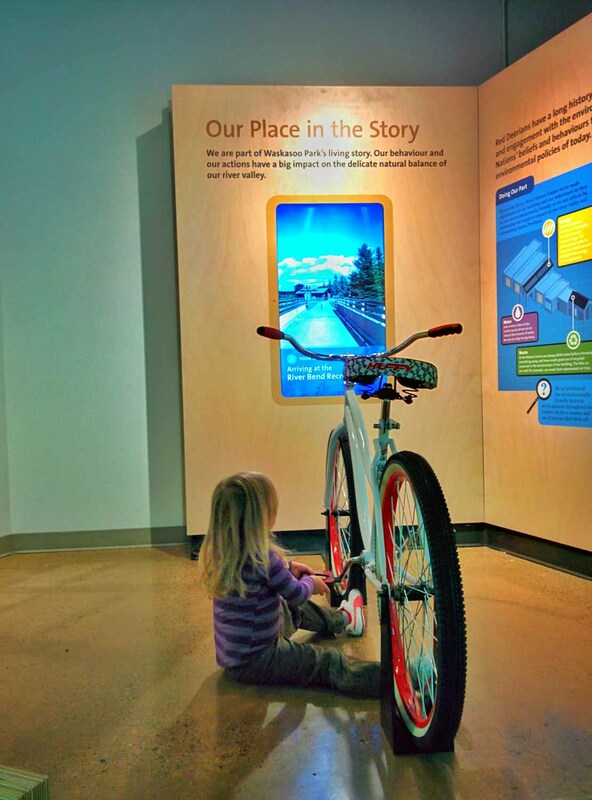 Location: The Kerry Wood Nature Centre is located at 6300 45 Avenue in Red Deer. 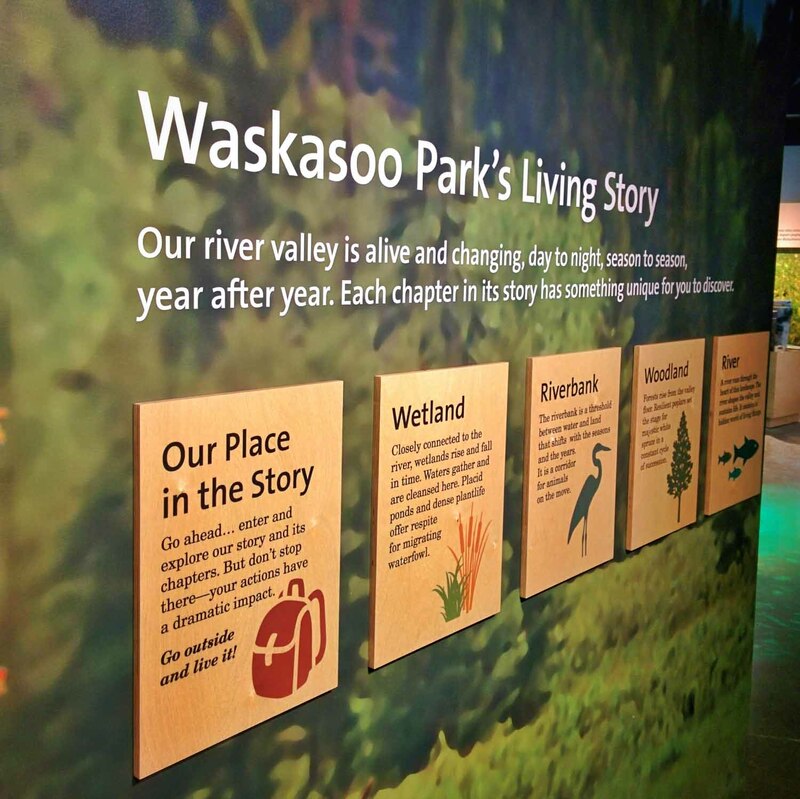 Visit their website at waskasoopark.ca for more information.